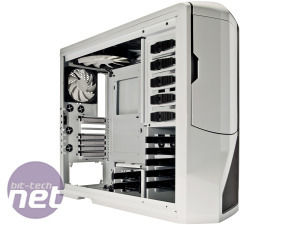 Produced from a collaboration between NZXT's designers and one of bit-tech's resident modders, craigbru (aka Craig Brugger), we were keen to see if the Phantom lived up to all the hype surrounding its conception. 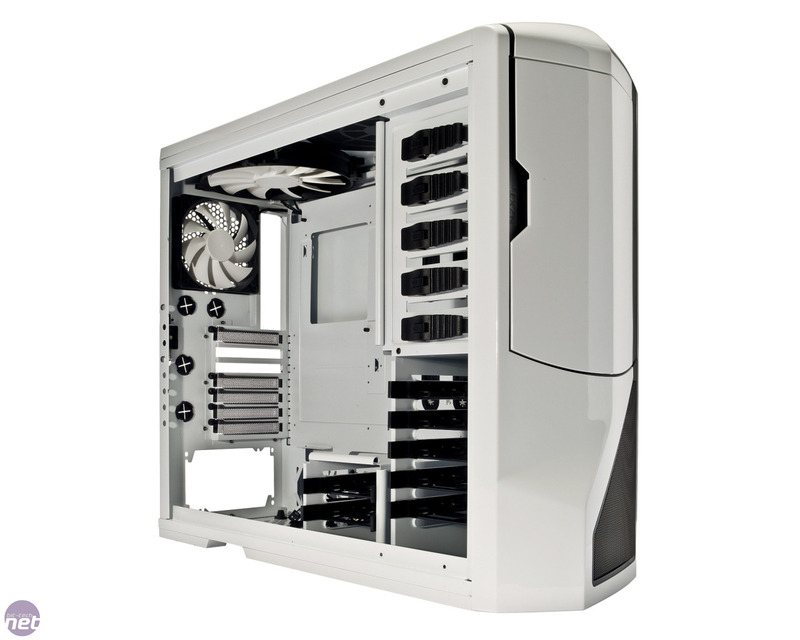 We were also aware of NZXT's previous record of making cases, most of which we've reviewed. 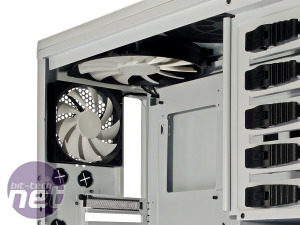 These exhibited serious design flaws - the Hades, for example, was very narrow and included such a large side intake fan that it was incompatible with any tower-shaped CPU cooler we tried. The Phantom is available in white (as reviewed here), as well as black and red so if you're not taken with the ghostly colour scheme, there are other options, although we quite like it. 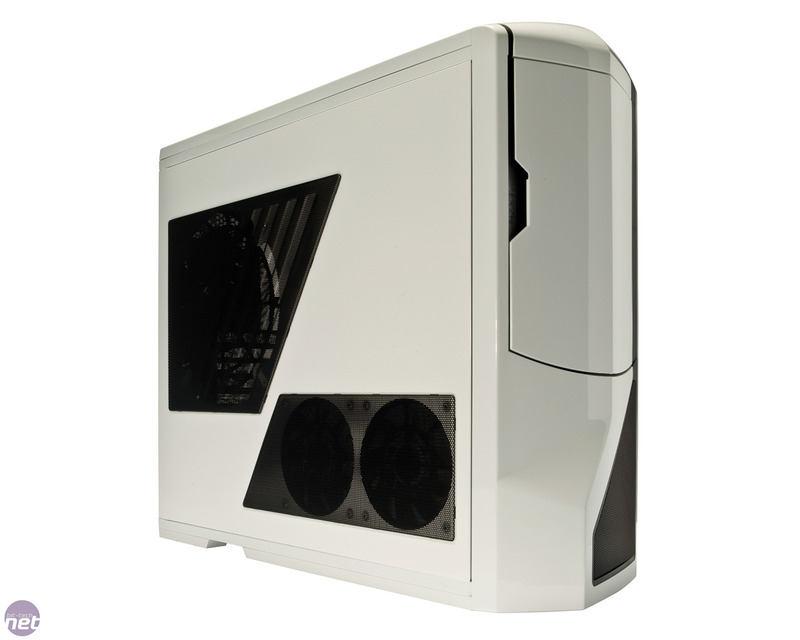 Unlike a lot of white cases, the glossy finish that NZXT has applied to the Phantom works well, causing several members of the bit-tech and Custom PC team to proclaim that 'white is the new black'. The inside also sports a predominantly white colour scheme with black trimmings. The Phantom is well made, if a little asymmetric, but given the drogues of black boxes we've seen over the years, it was quite refreshing. The side panels are a little flimsy, which is a shame, as they're the only part of the case that lets the build quality down. 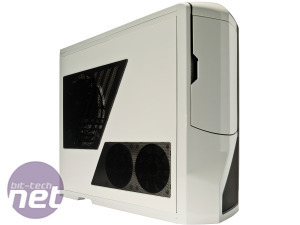 However, NZXT has told us that this is only a problem with the early sample we received, and the final retail version won't suffer from this issue. The five tool-free 5.25in drive bays are hidden by a weakly magnetic door, but it feels solid and doesn't rattle around. Beneath the door is a large mesh vent, behind which, bizarrely, NZXT has negated to install a fan, instead fitting an empty 140mm fan mount. Incoming airflow is provided by two side-mounted 120mm fans that include dust filters, while an additional 120mm rear fan and giant 200mm roof fan act as exhausts. There's an additional 200mm fan mount in front of the included fan. We spotted mounting holes for a dual 120mm-fan radiator in the roof too although only a half height radiator would fit with anything bigger fouling the VRM heatsinks on the motherboard. 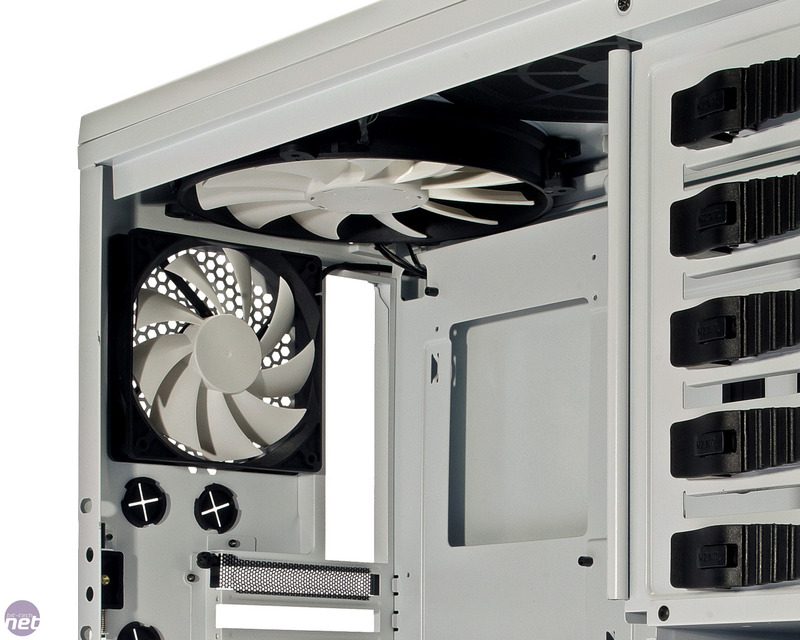 The PSU is mounted at the bottom of the Phantom on four anti-vibration rubber spikes, and is fed air through a vent - which is protected by a dust filter - in the floor of the case. There are five fan controllers, each of which is rated at 20W. These can be adjusted using sliders on the roof of the Phantom, and illuminate when fans are connected to them with space for another couple of fans out of the box. A single Molex is required to power the controller, and the side-mounted fans are connected to the controller when you fit the side panel. The fans proved to be very quiet even at full speed; with the fan speeds turned right down, the Phantom was inaudible from a distance of a few feet. 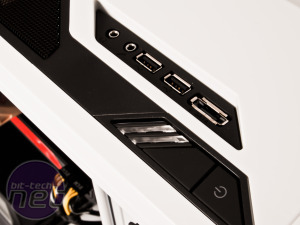 There are plenty of other features too, including ample cable-routeing holes around the motherboard, E-ATX support and seven 3.5in bays, each of which also has mounts for 2.5in drives. The 3.5in drive bays are split into two cages, and the rear cage is screwed rather than not riveted to the case, so it's removable. 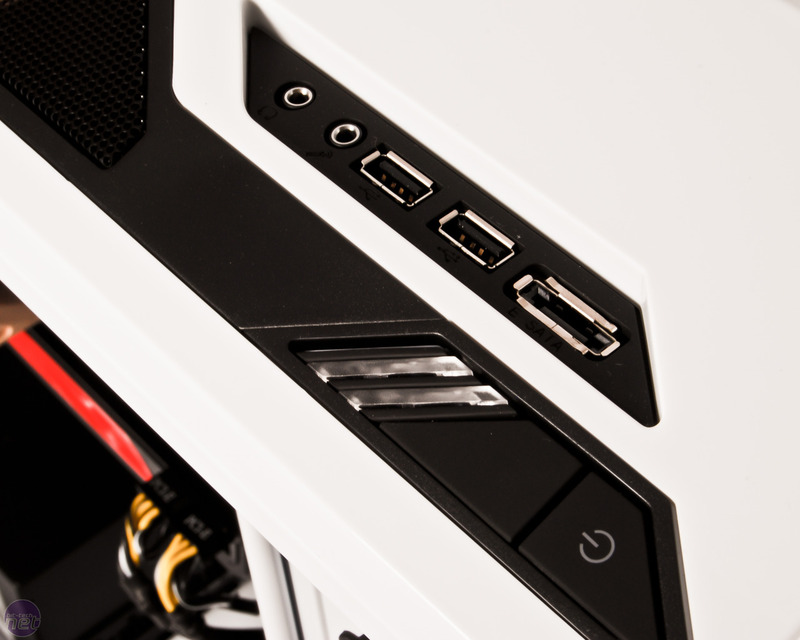 Two USB 2 ports and an eSATA port are located on top of the Phantom with microphone and speaker jacks close by too. With our initial inspection complete, aside from the disappointing exclusion of a front intake fan, we couldn't find anything wrong with the Phantom.